නිවටුන් පරදා පනස් හයේ උරුමය රකින්න පෙරට වරෙල්ලා - ඇල්ලේ හාමුදුරුවෝ නිහඬ බව බිඳිති.. It is a great speech. Please publish Ven. Thero's speech through other medias because he is telling truth. We understand that he is loving our motherland. He is the one who can care our motherland. I am by myself and my friends like to join with to do something to save our motherland. Ven. 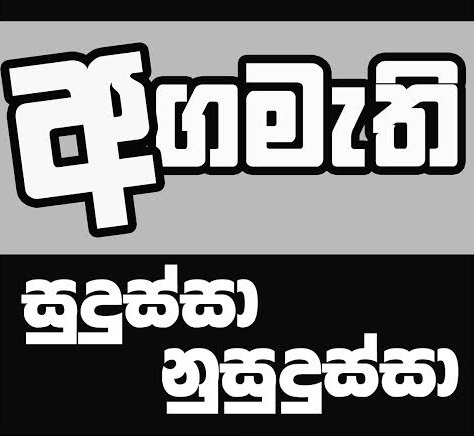 Alle Gunawansa @ 11:49: "මේ සටන තියෙන්නේ, දැන් පොල්ලකින් ගැහුව්වොත්, සමාරක් එවුන් කියන්නේ my God කියලා. 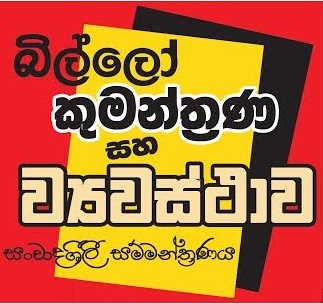 අපේ උන් කියන්නේ බුදු අම්මෝ කියලා. 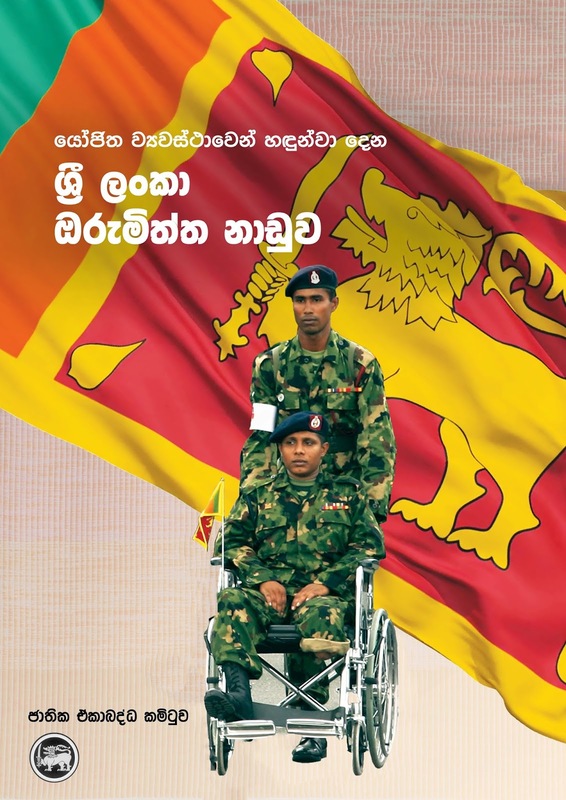 මෙන්න මේ සටන තියෙන්නේ. 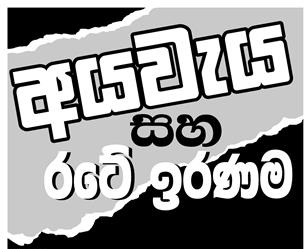 My God කියන එවුන්ගෙයි, බුදු අම්මෝ කියන එවුන්ගෙයි සටනක් මෙතන තියෙන්නේ. 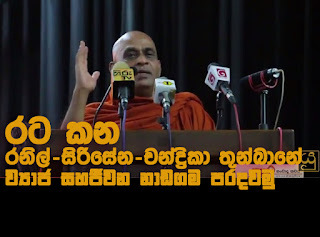 කුරුම්බා ගෙඩියක් කට තියෙල බොන්ඩ පුළුවන් එකාගෙත්, ඉස්ට්‍රෝ (straw) එක දාලා බොන එකාගෙත් අතර වෙනසක් තියෙනවා......මැඩෝනාගේ හරි මයිකල් ජැක්සොන්ගේ හරි සින්දුවකුයි අපේ පැල් කවියක ගොයම් කවියක රසයයි තියෙන තැන වෙනසක් තියෙනවා. ...... ඒ කොකා කෝලා සංස්කෘතියේ නායකයෝ ඉන්නවා මේ රටේ." 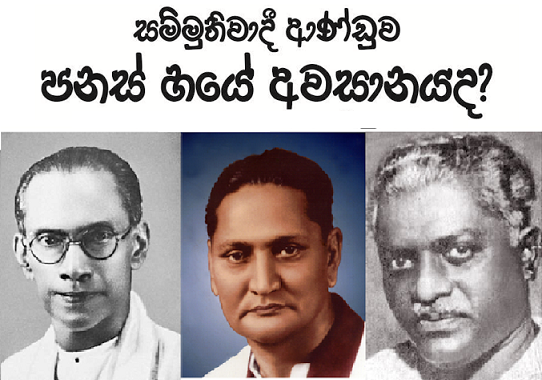 අවසරයි හාමුදුරුවනේ, මෙන්න රට බේරගත්ත කියන්නේ මහ රජානොයි, එතුමාගේ මද්දුමයා චිචියා, ඒ කියන්නේ රෝහිත රාජපක්ෂයි දෙන්නම ඉස්ට්‍රෝ දාලනේ බොන්නේ? 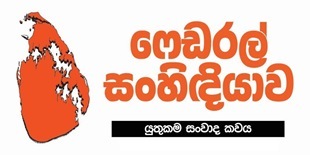 මොකද හාමුරුවනේ කුරුම්බා ගෙඩියත් කට තියෙල බොනවනන් (ඒක ලේසි වැඩක් නෙමිය්නේ හැලෙන්නේ නැතුව බොන්ඩ), පට්ට සිංහල බුදු අම්මෝ කියන එකා වීදුරුවකින් drinks බොන්ඩ ඕනෙත් කට තියෙලානේ. 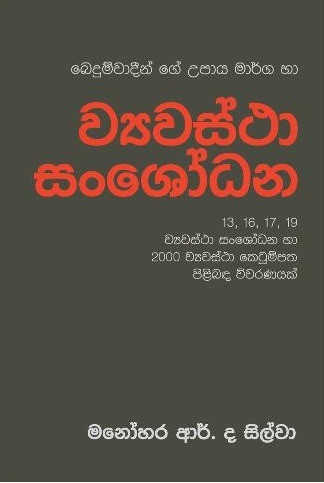 හැබැයි මහින්දයි, රෝහිතයි දෙන්නම බොන්නේ ඉස්ට්‍රෝ වලින්නේ හමුදුවනේ!! ඒ කියන්නේ හමුරුවනේ මහින්ද රාජපක්ෂයි, රෝහිතයි "අපේ එකෙක්" නෙමෙයිද? What is the most favourite concert you've been to? Shaggy at Sugathadasa Stadium. Would you ever get a tattoo? Yes many haha. Do you like to play video games? Who doesn’t? What is your perfect pizza? Chicken Hawaiian with extra chicken, cheese and jalapeno. 4. Some Nights by Fun. 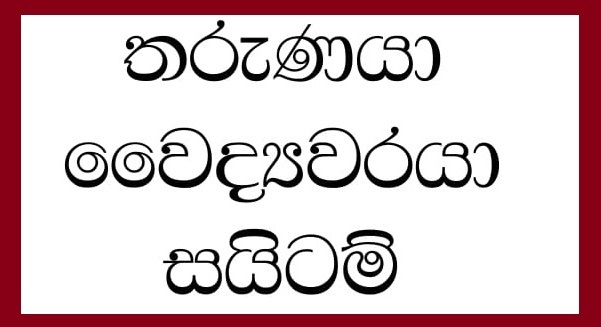 අපේ අපේ පැල් කවි ගොයම් කවි මේ list එකේ නැහැනේ හාමුදුරුවනේ? If you could only have one meal for the rest of your life, what would it be ? A good yummy chicken burger. රෝහිත රාජපක්ෂ (චිචී) හිපියෙක්ද හාමුරුවනේ? 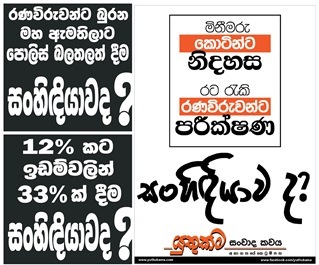 තුප්පහියෙක්ද? 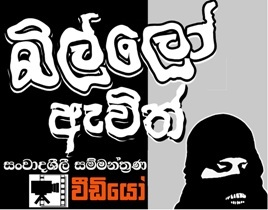 අක් මුල් නැද්ද චිචීට?? 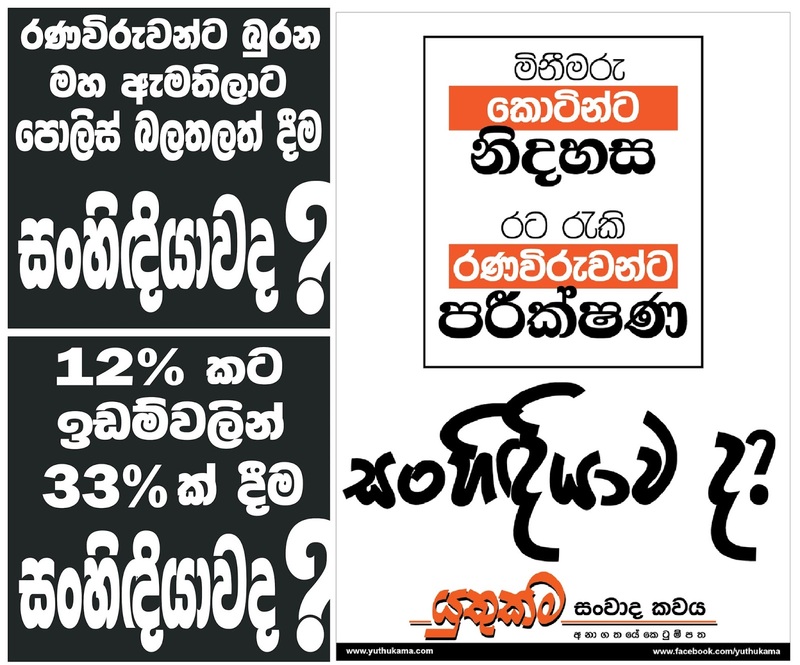 චිචීගේ කිසිම "අපේ කමක්" මට නං පේන්ඩ නැහැනේ? 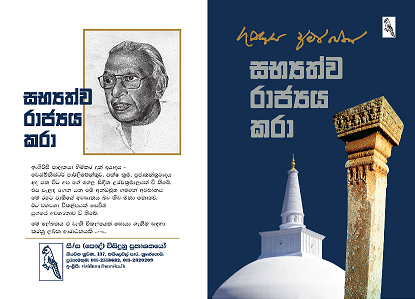 හැම දේම රාජපක්ෂවාදී හෝ රාජපකෂ විරෝධි හෝ නැතුව උඹලට හිතන්න බැරිද? උඹලා වගේ උන්ගේ මනසින් භාගයක්ම වෙන් කරලා තියෙන්නේ රාජපක්ෂලාට. kasun, nikan gon kaha kiyanne nathuwa sakki ekka katha karanda.